At Lahti University of Applied of Applied Sciences in the Faculty of Business all students are encouraged to become international either by taking part in an international marketing week or by studying abroad as an exchange student. Studying abroad improves your language skills and helps to make friends from all over the world. It also gives you the possibility to practice your language skills in the real world instead of normal lessons. Especially English skills are really important in the business life nowadays. We participated in the international marketing week at HELMo University College in Liege, Belgium, from 16th to 19th March. The week was organized by Businet, a global business education network of institutes of higher education around the world. Lahti University of Applied Sciences is also part of the Businet network. During the Fashion Design week, we were divided into six groups of four or five people. We were then assigned a task to create a marketing plan for a recently graduated HELMo Mode student. There were two designers: Charlotte Zink (in the picture) and Robin Huberty. 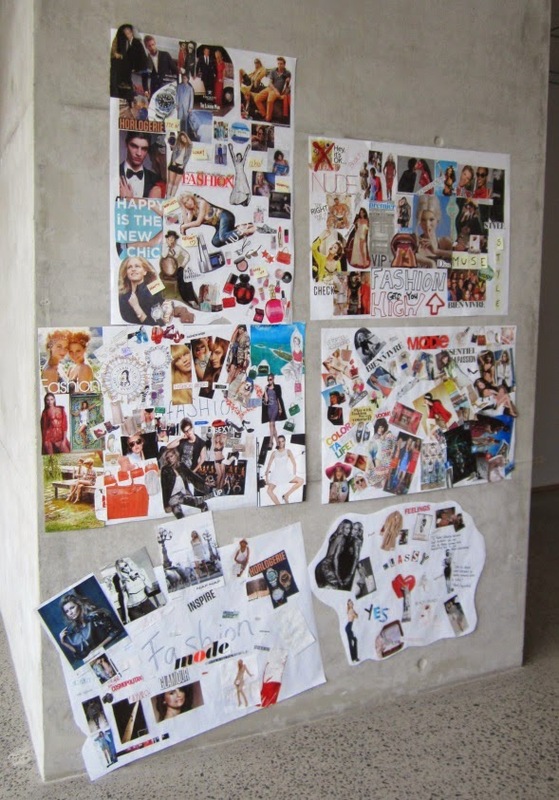 They chose the groups who would market them based on “Our thoughts of fashion” mood boards that we created in the groups. Even though we spent three days in Belgium, we only had around five hours to create our marketing plans for the designers. Our program for the week also included lectures and visits to local museum and to HELMo Mode fashion school. At the end of the last day, we presented our plans to a jury which included teachers from HELMo, marketing experts and of course the two fashion designers. The jury then chose the winning marketing plan, and they also awarded the team with the most innovative ideas. Lack of time wasn’t the only obstacle on the way to creating a victorious marketing plan. As newly graduated designers, our clients didn’t have a huge budget to spend, so we needed to come up with ideas that were effective but cheap to execute. Many teams used their own contacts and planned to use HELMo’s students for their marketing projects. Many teams also considered that social media is one of the most important marketing channels. For example, some groups planned to do a Facebook page, to open a Twitter account and to create a website. Working with a foreign designer and in an international group of students was challenging but rewarding. The working language in the project was English even though the designers spoke French as their mother tongue, as did the majority of the students. There were of course some language barriers, but all the students and teachers were very helpful in translating English to French, and eventually everybody understood each other. The designers received three different ways to develop the marketing of their products. Every group had various visions in their marketing plans, and the designers can therefore benefit from these plans in the future. They can also adapt the different ideas from each plan. In general, this kind of marketing week is a good way for designers to get new ideas. The students worked a lot with their marketing plans, and all this was free for the designers. The marketing week in Liege was a great experience. We learned lots of new things about marketing related to fashion design and about studying in Belgium. Most of us had never been to Belgium, so we also learned a little bit about Belgian culture. We also got some new international friends, and studying abroad was a nice change from our business studies at home in Finland.